We want to inculcate a reading habit in children. First, by introducing them to a community which includes other children who are also reading. For those of them who are already interested in books, we want to show them that they are not alone, that there are many children like them and that it is not weird to be caught reading, especially in the age where children prefer phones to books. 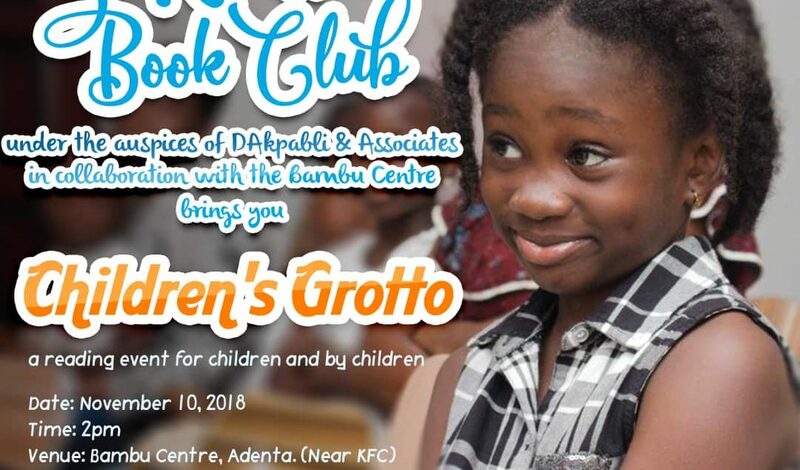 For those who are yet to catch the revelation, the objective is that if they see other children reading and enjoying it, they too will get interested. We also want to build their public reading and speaking abilities. We found in the adults Grotto that many young adults had their first public reading from the Grotto. Public speaking and reading are important skills everyone should have and the earlier a person experiences it, the better for them. This is why we make the Children’s Grotto a place where the children learn to sit or stand in front of an audience and speak or read to them. Lastly, we want to show the children model adults who are readers and what they have gained for the habit. This is where the adults interested in reading and children’s book authors come to play. We know that one of the ways children learn is by observation. If, therefore, we would get them to read, what better way is there than to show them how it is done? Apart from the above, the Children’s Grotto also provides an avenue for parents to get books for their children. By the kind courtesy of BookNook, a plethora of children’s books are displayed for purchase by the parents. It’s a total package! The next Children’s Grotto is on Saturday. See comment session for poster.